Show us how you #DOYYC and you could win a special Fiasco experience for you and your crew. Entrants must post a photo/video on a FB/IG/or Twitter account taken at one of the participating DOYYC 2018 sites during September 22 OR 23. Bonus entries for posts that also tag DOYYC or Fiasco. There may be multiple entries over both days of the event. The winner will be chosen by random draw and announced the Friday September 28th, 2018. 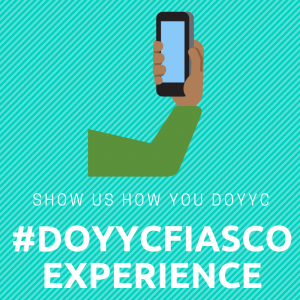 The winning entrant must publish a post on social media featuring their experience tagging both Fiasco and DOYYC, including the contest hashtag. $126 value (per person); Limit of 4 people.